is white crystalline powder .Storage: Keep container tightly closed. Keep container in a cool, well-ventilated area. Incorporated in the year 2003, we, “Triveni Chemicals”, are a renowned organization, which is engaged in manufacturing and supplying a wide range of excellent quality Aromatic & Perfumery Chemicals. Under this range, we offer aroma compounds that can be found in wine, food, floral scent, spices, perfumes, essential oils and fragrance oils. The offered range of the chemicals is processed by our chemical experts using excellent quality ingredients that are procured from the certified & reputed vendors of the market. 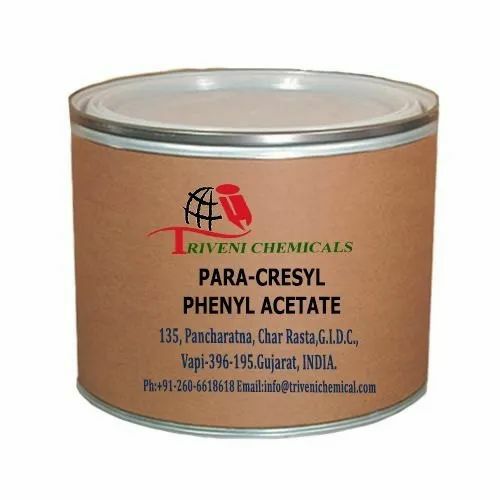 Offered range of chemicals are highly acknowledged among the clients for their remarkable quality attributes such as longer shelf life, purity, effectiveness, precise pH value and accurate composition.